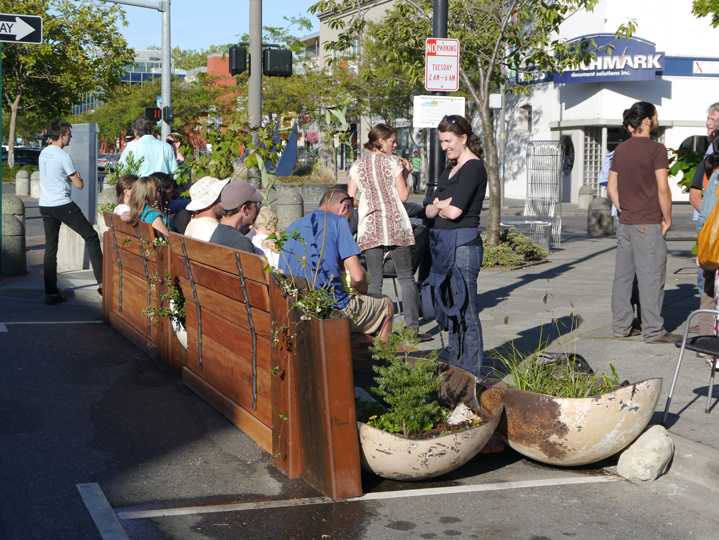 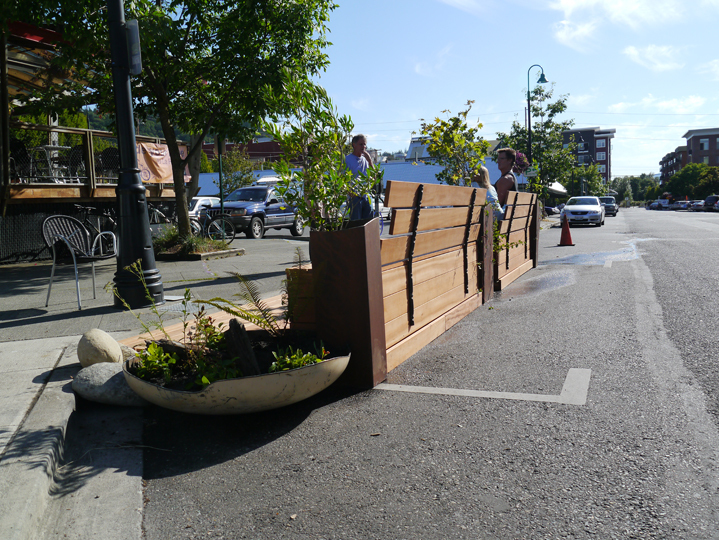 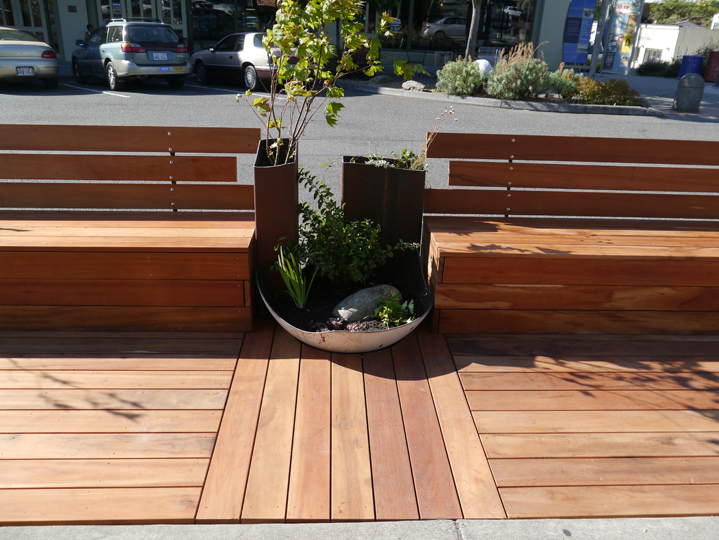 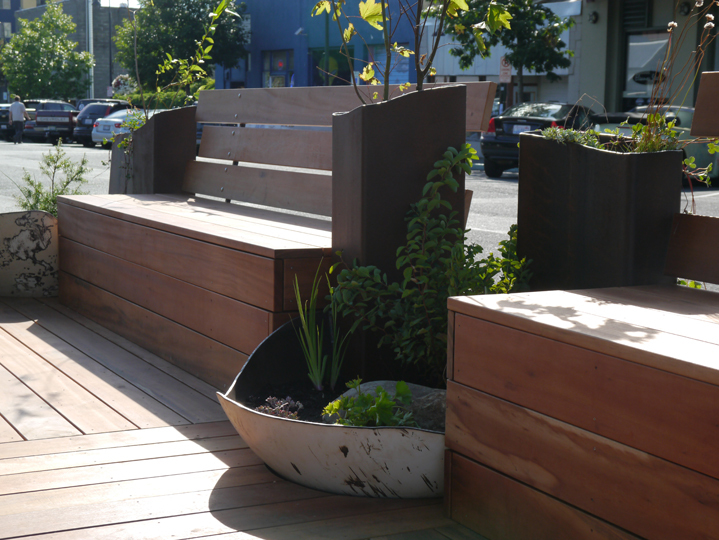 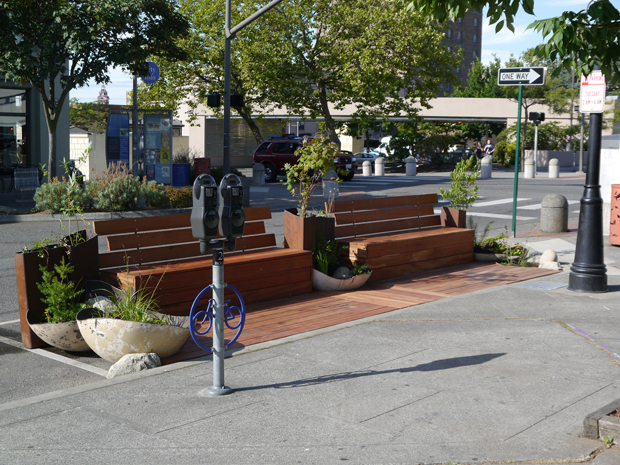 A Parklet is the conversion of an on-street parking space into a creative public space or tiny park. 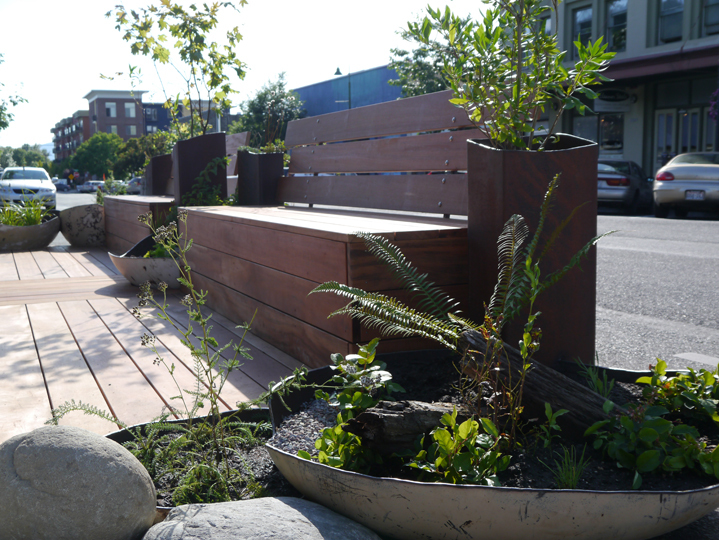 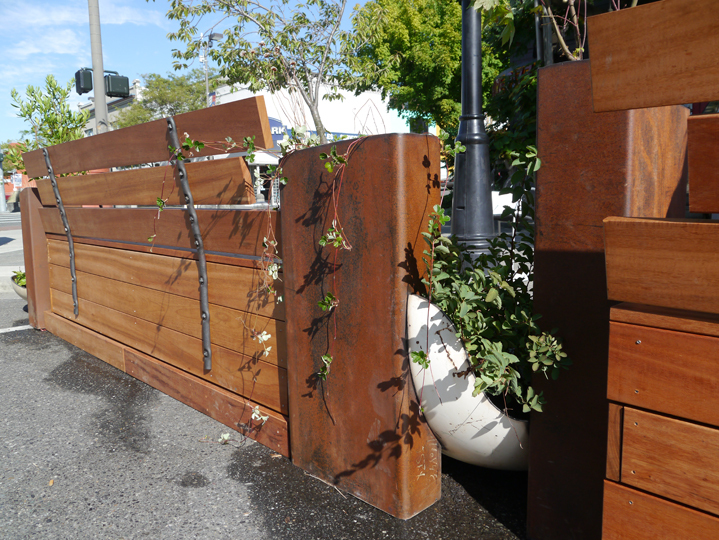 This is the first of its kind in Bellingham and was inspired and funded by Sustainable Connections, and was created in collaboration with Bellingham Bay Builders who did the woodworking and Plantas Nativa who did the plantings. 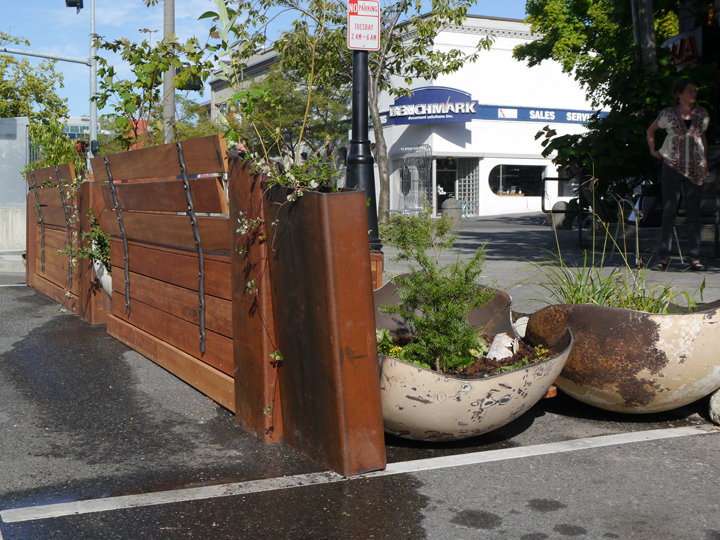 My planter vessels were sculpted from salvaged tank ends and tubing. 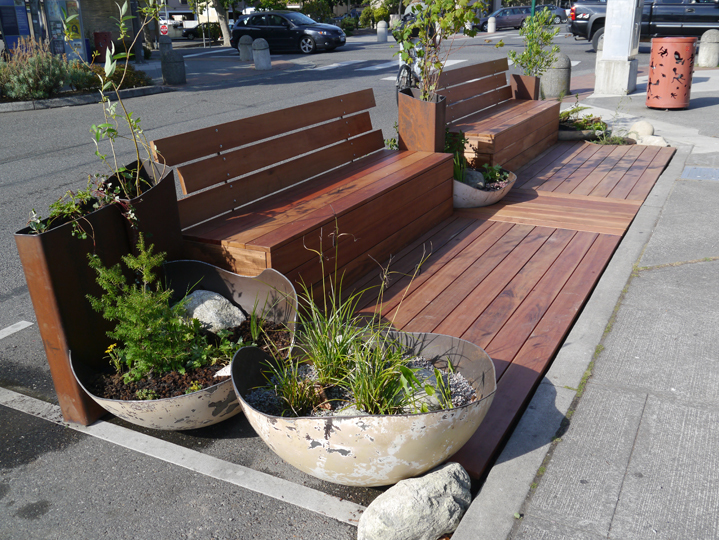 e conversions of on-street parking spaces that provide urban areas with additional public outdoor space.